Warhammer Tv had a live Q&A earlier today so I took some notes (and cross-references/added what I missed from Reddit posts) and thought that I might as well share them here. - Command Points are designed to "make your army play how your army is supposed to play", can use one per phase (one time use), they manipulate the game in some way in your favour. General CPs will be included in the main rulebook, faction specifics will be included in codices. - This has been rigorously playtested and is a direct response to all of the community engagement that GW has been doing. They have been monitoring their own websites/forums as well as other, independent websites (likely BoLs, Reddit, possibly this one). We as a community havve spoken, and they have listened. - Last, but not least: IF YOU HAVE PURCHASED A RULEBOOK/CODEX/SUPPLEMENT WITHIN 8 WEEKS OF 8TH ANNOUNCEMENT YOU CAN GET A GW VOUCHER FOR THE AMOUNT SPENT (with proof of purchase, of course). Apparently, they have always had this policy, but only within 4 weeks. Thats some amazing customer service, if you ask me. I've definitely missed a couple of things, but hopefully what I have here is correct. Feel free to add your own notes as well of what Ive missed. Thank you! I was afraid i was going to have to dig through 30 pages of bickering on Dakka for this. Does "fixed to hit rolls" mean that they repaired them, or that they won't be modified, meaning that we'll continue with a rules set fundamentally incapable of representing that some things are more difficult to hit than other things, which therefore disproportionately advantages things wearing power armor? I'm worried they'll lump all the Xenos into the same bucket. It doesn't make sense and it diminishes the universe. A bunch of galactic powers, one of which are humans, fighting each other is more interesting and diverse than lumping all the nonhumans together for expediency. It shrinks and limits the setting, while continuing to tell several groups of players that the game can't be about them too. It would make more sense to put Marines and Chaos together than, say, Orks, Tau, and Necrons. All these groups hate each other, but the Orks, Tau, and Necrons are all fundamentally different, while the two groups of Marines use a lot of the same equipment and used to be on the same side. It doesn't make sense to separate the things most similar to each other while lumping together the things that are most different. Orks used to have a completely different army list for each Klan. Tyranid hive fleets have marked differences from each other. The Tau Empire contains a bunch of species working together. Each of these races could easily be their own "grand alliance," if GW could just stop focusing on Space Marines for a little while. Other than that, I guess I'd just like a melee combat system that isn't basically Rock Em Sock Em Robots (again, another advantage for power armor). I interpret 'fixed to hit rolls' to mean that units hit on a fixed number, like how BS already is, but then might have modifiers applied to them (like the 'to hit' penalties for cover in Shadow War), but I really have no idea what is precisely meant by that. It appears that S vs. T is still going to be the system to determine wounds, however. Amazing customer service? You've got to be kidding me. Do you think it's a coincidence that this announcement came out just a bit over 9 weeks from when gathering storm 2 was released? Basically, they screwed their most devoted fans, who purchased things on or near release day. You call that "good customer service"? I call that getting beat with a velvet covered hammer. They're trying to play it like good guys by saying they'll give people vouchers if you purchased something in the last 8 weeks, but the bulk of what they released was over 9 weeks ago(except space marines, go figure). Perfect plan to make them look good to the guys who DIDN'T get bent over a barrel. Smart? Yes. Good customer service? Not even close. Now I don't think they picked 8 weeks out of a hat or that it's just khorne lucky number but what new codex/supplements have they released after GS? It seems like they calculated that they would lose too much money (I think their wallets would survive) if they refunded GS while at the same time still providing a nice PR bump and a decent "sorry for the secrecy" to anyone who just happened to grab a book. In conclusion I agree they are being sneaky and don't deserve a parade but I don't think the response be so vehement since they didn't have to do anything at all. Now I'm concerned about the fluff guy apparently saying they were scaling back the xenos to focus on the real story of imperium V chaos. That's got me very very dubious. >Told people not to spend good money on bad books when Gathering Storm was released. It's like I said, @BetrayTheWorld, I warn people. They don't listen, but I warn 'em. Youre quite welcome! 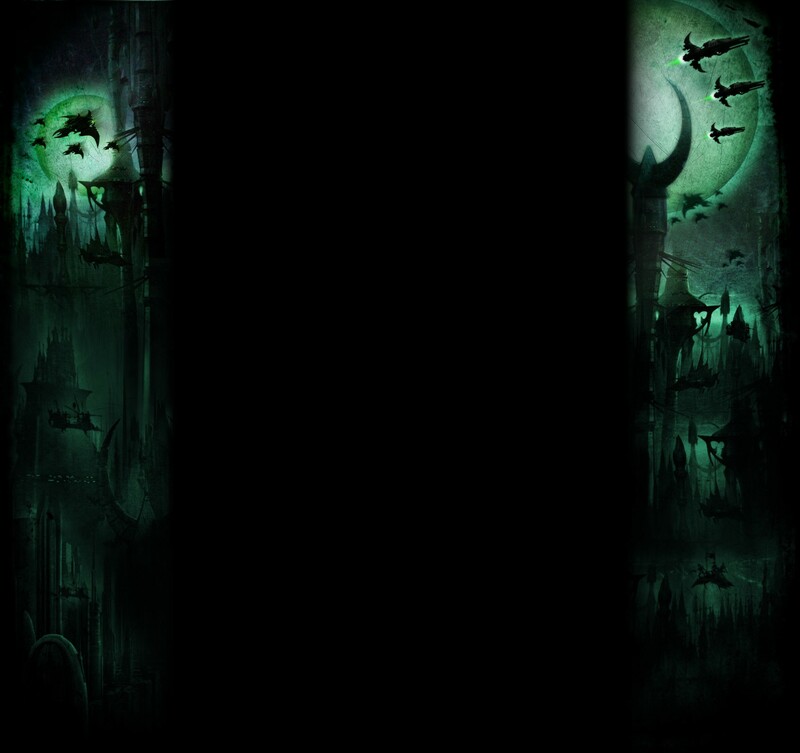 I figured that thedarkcity could use the update, as well. On the new 40k website there are three categories: Imperium, Chaos, and Xenos. For the sake of marketing to newer players, this is the simplest way of categorizing the factions. The confirmed books are: Imperium, Chaos, Xenos and I would guess Aelndari (whatever Eldar is now). Again this is the simplest way of including as many factions into as few books as possible: orks and tau are stand alone factions, while the Imperium, Chaos, and Eldar are all comprised of multiple factions. It doesnt mean that orks are now allied with tau, it just means that theyre all Xenos. If you start dividing them further, you may as well just keep the current system. Codices will apparently be unique to each faction (as expected). Its a simple, concise method of subdividing the categories, and is a pretty trivial thing to get worked up over (Ive seen abit of it on Reddit). Im assuming "fixed to hit rolls" means "hits on 3+", which, I would assume, is then modified by cover. Seriously, man? Theyre not a charity, they still need to turn a profit. The fact that theyre offering any type of compensation for soon to be obsolete products (unless you enjoy fluff or artwork) is pretty incredible. Care to name another multinational company that would offer such a deal? The one thing that I always see people complimenting GW on is their customer service. Would you also like for them to refund the WK you bought for your Ynarri army because its not going to be OP anymore? So, yea, cautious optimism is about where Im at! The Imperium/Chaos/Xenos categorization makes sense of you're looking at everything through the lens of the Imperium. And looking at stuff through that lens is fun! The important thing to remember is that it's a lens; the Imperium are superstitious fanatical distopian space nazis. They are not what you'd call a trustworthy narrator. Orks, Necrons and Tau have as much in common with each other as they do with the Imperium or Chaos. Actually, the Blood Axe Klan often worked for/with the Imperium. I believe that's still in the lore, but in the old Blood Axes army list they could take a human advisor (secretly an agent of the Imperium) and units of human troops (secretly Imperial Guard) and adventurers (not Imperial Guard). Oh, and Ogryns with ripper guns. Seriously, man? Theyre not a charity, they still need to turn a profit. The fact that theyre offering any type of compensation for soon to be obsolete products (unless you enjoy fluff or artwork) is pretty incredible. Yes, seriously. It's not incredible. It's obvious that the "New GW" is actually CONCERNED about their image, so they're going to do things that reflect well on them, and this does just that, improving their image(mostly with people who didn't buy the recent stuff), while the effects on their wallet are actually negligible because after gathering storm, the only new stuff was a separate, boxed game that isn't part of the voucher offer. So they aren't going to have to hand out many vouchers. It was a calculated move that sounds good but doesn't really do anything for all the people who got bait and switched into buying $150 USD in books that were going to be obsolete in 9 weeks. No one deserves a pat on the head for that. Care to name another multinational company that would offer such a deal? The one thing that I always see people complimenting GW on is their customer service. Sure, off the top of my head: Stardock Entertainment. They released a crap game that had lots of bugs. People complained. The CEO came out and apologized for not meeting expectations, continued to fix and support the first game, and said anyone who purchased the first game would get a free copy of the second game once they made it. They made the second game, it was far better, and I got an email notification telling me my free copy of the shiny new game was available. THAT is good customer service. And those guys didn't MEAN to release a bad/obsolete product. GW KNEW they were going to announce 8th edition while they were putting out books that would almost instantly become obsolete, then tell everyone they'll give out vouchers to make people feel better, but time the limit on the vouchers just outside the time when most people would qualify for them. It's genius, because most people only look at the surface offer and think, "Wow, what great fellas." So it gives them positive PR while costing them very little. You can't BUY the kind of goodwill you get from players who think you're a swell company. You either need to actually BE SWELL, or trick people into THINKING you are. To me, it appears as if they're taking the latter route. Nope, I bought a second wraithknight for adepticon too. And despite it probably not being as good as it was before, I suspect it will still be useable, and that's alright by me. I'm not complaining about a sub-par book here. We're talking about OBSOLETE books that are no longer valid in the game at all. Now on the other hand, if wraithknights are completely removed from the game, yes, I would like a refund. I won't get one, but i'd like one. I'm not being rude here, so please, don't try to trivialize my opinion with statements like "oh, you want a refund on your wraithknight because it's not OP anymore?" I haven't given you any cause to think I am being petty, as that statement would seem to try to indicate. I do appreciate your informative post, I just don't agree with the part about the vouchers being good customer service. It was a calculated PR move coordinated with release dates so as not to cost them much. If GS3 wasn't within that 8 weeks, every single customer would have called them on this BS, since everything else released after that wouldn't qualify for the voucher, so they took GS3 on the chin to be able to say that the voucher might apply to SOMETHING, just so there'd be debates like this one instead of outright hate. I wouldn't be surprised if this entire thing was planned, right down to the STORY of gathering storm itself, so that space marines/roboute would be in the last book specifically so that it would be space marines players who benefited most from their "generosity". In my experience, they're the easiest players to dupe. The one thing that is really disappointing is this "everything can hurt everything" nonsense. Lasguns can kill land raiders. Warhammer 40,000: You need A LOT of lasguns to kill a Land Raider - trust us. So many, it's almost pointless if it's undamaged, but there will be that odd time when a trooper takes off the last wound from a rampaging Chaos daemon engine - Bam - instant field promotion. To Warhammer 40,000: How much is a lot though? IG have "a lot" as their mantra. I can easily run 50 conscripts at a landraider. I am loving the direction these tidbits are pointing, especially monstrous creatures and vehicles degrading with damage, everything being able to damage everything, assault being good, and all units being rebalanced. If they (GW) can pull that off then I for one will be a happy camper. If they even get close to it I'll be reasonable content! Poison weapons able to wound vehicles? Easily solvable by having Key Word "Machine" or something like that and Poison not working against anything with that Key Word. Could also give it to Necrons, which would really make them our worst nightmare! They probably changed the rule or cut it entirely. If I remember correctly, Splinter weapons are described as containing both toxins AND ACIDS. THe acids in Splinter poison can easily hurt vehicles. "No more Str D in 8th ed, Maelstrom games are still a thing and it's fixed To Hit rolls but opposed Str/Toughness rolls. All from Twitter from the designers. Core rules 12 pages." It's claimed that this has come from Twitter posts by Pete Foley (GW rules guy from the Q&A yesterday) but I'm not on Twitter so can't confirm. If true, I don't like fixed To Hit rolls but welcome the death of D-weapons. It was also implied that the 12 pages of basic rules will be printed in each of the books as well. Ballistic Skill is already a fixed To Hit roll and WS might as well be given how useless the table is. There was no indication though of whether the fixed roll applies to just BS, WS or both, and whether modifiers is a thing or not. I see it as D weapons being pointless now, they've already confirmed that there's no upper limit on Strength and that high powered weapons will be able to cause multiple wounds all of which removes the need for D.
The melee To Hit chart at least takes some account of the relative skill of the combatants (albeit they forgot the numbers 2 and 6 exist). It should be harder for a Fire Warrior to hit a Bloodthirster than it is for the Bloodthirster to hit the Fire Warrior! It should be harder for the Bloodthirster to hit a Primarch than it is for it to hit the Fire Warrior. D weapons can do one though. At least we won't have any of this D6+6 Wounds with no saves of any kind crap. However, it could be a fixed to hit, based on WS, with a -1 modifer if you're fighting a unit with higher WS, or a +1 mod for fighting a unit with lower WS. At this point, we just don't know. However, it doesn't look like they're going to shy away from modifiers. I'm not sure how I feel about the removal of the Initiative stat.. though it does make a certain amount of sense to replace it with the Movement stat. I'm hoping that DE get 7-8 Movement minimum. I have high Hopes for Venoms/Raiders and actually getting models around the table now. I still think we will have modifiers for to hit rolls, there also is the command point system too. As far as I can tell, command points are basically "build your own formation bonus". There's gonna be some that will be stupid broken though.